Caught between loyalties, the mother of the Tudors must choose between the red rose and the white. 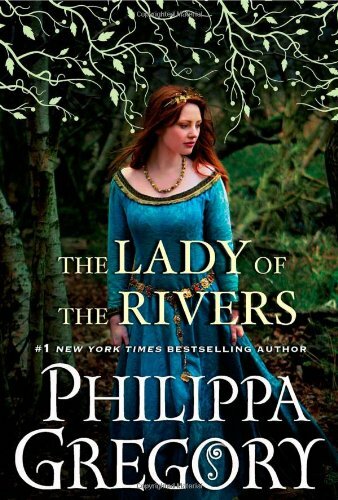 Philippa Gregory, #1 New York Times best­selling author and “the queen of royal fiction” (USA Today), presents the latest Cousins’ War novel, the remarkable story of Elizabeth of York, daughter of the White Queen. I’m reading this wonderful series, The Cousins’ War, out of order, but it’s all good. 🙂 I’ve read THE LADY OF THE RIVERS, which was Book Three, and now, THE WHITE PRINCESS, Book Five. Philippa Gregory has a knack for blending fact with fiction and bringing historical characters to life, making them real and compelling. Fascinating, all of them, even the ones I wanted to throttle. A quickie historical note: The White Princess in this book is Elizabeth of York, eldest child of King Edward IV and Elizabeth Woodville. Elizabeth of York was the sister of the Princes in the Tower, the heirs to King Edward IV’s throne after his death. Edward’s brother Richard III had the boys taken to the Tower of London, where they disappeared before the eldest boy could be crowned. Richard III had them declared illegitimate anyway, and took the throne in 1483, the last York king. THE WHITE PRINCESS begins just after Richard III’s defeat and death at the Battle of Bosworth in 1485. In theory, the War of the Roses came to an end when Henry Tudor took the crown and married Elizabeth, finally uniting the Houses of Lancaster and York. But, of course, it wasn’t that easy! Poor Elizabeth. She was madly in love with her Uncle Richard, and was devastated by his death. (o.O) Richard III was going to make his beloved niece his queen, but she was forced to marry his archenemy/murderer instead. Elizabeth was a sympathetic character, just trying to make the best out of a situation beyond her control. In the eyes of her husband, she walked a fine line between being a traitorous York and being his repentant queen throughout their entire marriage. Most of the time she was kept in the dark about the scheming of her husband and his mother to secure his crown, and that of her own mother, Elizabeth Woodville, who longed to see a York restored to the throne. Elizabeth was a strong woman to have survived her life with Henry. I’m sorry to say that Henry was little more than a paranoid mama’s boy, always believing a ghost prince would swoop in a steal his crown. He was so insecure and unlikable, I kind of felt sorry for the man. (Still, I wanted to smack him a few times.) And then there was his mother, Lady Margaret Beaufort, an unpleasant, pious, and power-hungry woman. As his chief adviser and one of the few people the king trusted, she fueled his paranoia and put quite a strain on his relationship with Elizabeth. Now, I have to go back and read some of the earlier books in this series, particularly THE WHITE QUEEN, about Elizabeth Woodville. I need to know more about this fascinating woman. THE LADY OF THE RIVERS is compelling historical fiction inspired by the life of Jacquetta of Luxembourg. In this book, her family is said to be descended from the river goddess, Melusina, and Jacquetta has been gifted with the ability to see into the future. At 17, she becomes the wife of John, Duke of Bedford, who was the English Regent of France under Henry VI. John is only interested in her scrying ability for his own political gain. The duke was many years her senior, and their marriage was brief. Later, Jacquetta secretly marries her true love, Richard Woodville, who was a squire for the Duke of Bedford. They have many children together (the book mentions 14 of them), despite often being kept apart because of political duties. Jacquetta becomes a close friend to Queen Margaret, Henry VI’s wife. As allies to the king and queen, Jacquetta and her family are caught in the turmoil of the War of the Roses. THE LADY OF THE RIVERS was an interesting, well written story. This is the first book by Philippa Gregory I’ve read, and it’s obvious that she knows British history from this time period. I am not that familiar with the War of the Roses, and Ms. Gregory made it come to life in rich detail. After finishing the book, I still haven’t decided if Jacquetta herself was a strong character. She points out many times that women are not meant to make their own paths in life. Women who are a threat to men end up imprisoned or burned at the stake. She’s fearful of her magical gifts. 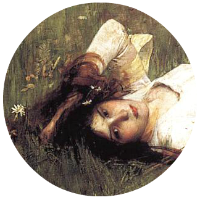 She was very much at the mercy of others, and probably had no choice in the matter. If I calculated correctly, Jacquetta was the great-grandmother of Henry VIII, and the great-great-grandmother of Elizabeth I, so she certainly left an impressive legacy. I enjoyed the magical elements in the book. They never overpowered the story, and they gave Jacquetta more depth. One of my favorite parts of the book was Jacquetta’s brief friendship with Joan of Arc and how they were tied together by fortune’s wheel.